Disney is sitting pretty comfortably with two of the biggest film franchises of all time fighting its corner. Although Star Wars made a household name of Mark Hamill, more recent movies have seen an influx of big Hollywood names. Across George Lucas’ prequel series and Disney’s ongoing ‘new’ trilogy, we’ve seen the likes of Liam Neeson, Ewan McGregor, Christopher Lee, and Richard E. Grant put on a pair of robes and “punch it” into hyperspace. 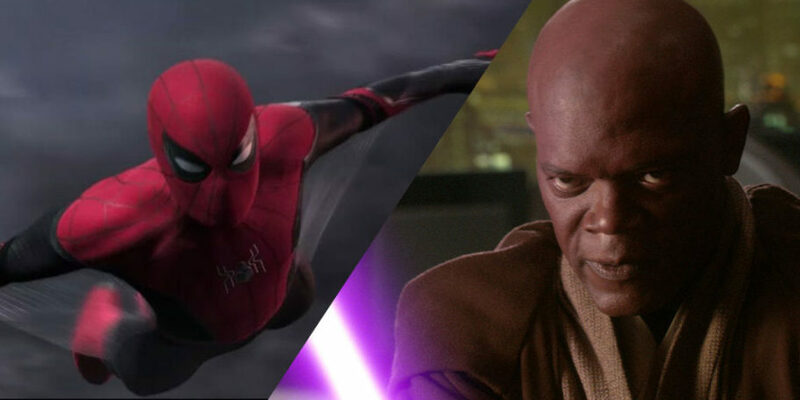 Lucas’ world even shares a certain someone with the MCU thanks to Samuel L. Jackson’s roles as Mace Windu and Nick Fury. Of course, Peter and Ned could’ve stopped watching after the original trilogy and have no idea who Mace Windu is, but I’m not buying that one. The post is clearly just a bit of fun, but it opened the floor to a bunch of “what if” scenarios. One fan said they hope that Watts acknowledges this potential plot hole in Far From Home and has Fury make some sort of Star Wars joke. 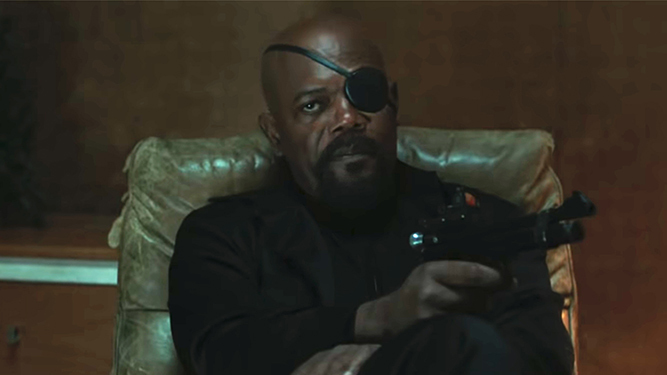 The MCU is known for its cleverly hidden Easter eggs and even referenced Jackson’s notorious Pulp Fiction character in Captain America: The Winter Soldier. Cynics pointed to the fact that Star Wars as we know it might not exist in the MCU. One reader said that while we know the Death Star exists in Peter and Ned’s world, that doesn’t mean the Star Wars franchise plays out in the same way — wow, talk about spoiling everyone’s fun. Another pointed out that hated moment when Julia Roberts’ Tess played Julia Roberts in Ocean’s Twelve. Still, we can hold out hope for Peter Parker saying, “Weren’t you in that…?” before the one-eyed Nick Fury cuts him off in classic Jackson style. Kevin Feige keeps a tight grip on the continuity of the MCU, and then comes Samuel L. Jackson cutting a big hole in the fabric of time and space with his purple lightsaber.